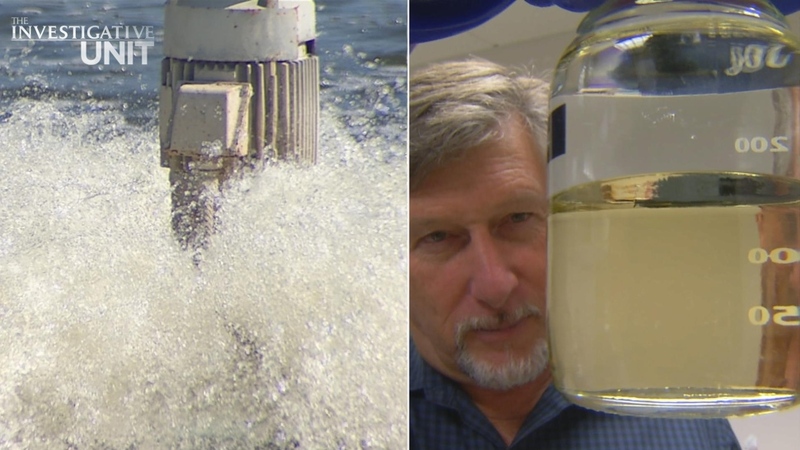 A three-month-long NBC Bay Area investigation into California’s water crisis found several Silicon Valley technology companies and venture capitalists ready to design, produce and manufacture innovative high-tech solutions to the state’s drought. But the investigation also discovered that California’s labyrinth of rules, regulations, and the multiple agencies that oversee water policy have become serious barriers to those innovations and their large-scale adoption. Climate scientists warn the California drought could last for decades. With the prospects of global warming, population growth, and disappearing snowpack on the horizon, dozens of water policy experts say it’s time for California and its hundreds of separate, independent water agencies to aggressively approach technology in a fashion similar to the state’s approach to energy, climate change and transportation. The Investigative Unit found entrepreneurs with proven solutions, many based in Silicon Valley, that are shipping their technology overseas because they can’t get any traction in California. Those companies’ CEOs say bureaucracy and aversion to risk, as well as drawn-out permitting processes, can be insurmountable challenges for startups. San Francisco venture capitalist Stephen DeBerry has money to invest in California water technology. But he’s trying to figure out why that’s so difficult to do. He’s the founder and CIO of Bronze Investments. As CIO, DeBerry says, he makes a point to invest in companies that can have a positive impact on marginalized communities. As California’s water crisis drags on, he worries those communities will be hit hardest. "I think we (the State of California) have got to get out of our own way," Deberry said. "There’s no shortage of capital in Silicon Valley. There’s no shortage of innovation. There’s no shortage of people. This is what we excel at." DeBerry first spoke to the Investigative Unit in Israel, where he traveled in search of solutions to California’s water crisis. About a decade ago Israel faced its own water crisis, similar to the one California now faces. At that time Israeli leaders decided to make water a national priority on par with combatting terrorism. Because of that, Israeli leaders took aggressive measures to innovate their way out of the crisis, investing in water reuse, efficient irrigation, desalination and rainwater collection. Watch Stephen Stock's extended, web exclusive interview with Stephen DeBerry, founder and chief investment officer at Bronze Investments. DeBerry is a venture capitalist who invests in projects with positive social impact. He recently traveled to Israel in search of innovative solutions to the water crisis he could bring back to California. DeBerry doesn’t see why California can’t do the same thing. He understands the need to balance innovation with environmental and safety concerns, DeBerry said, but worries about the consequences if the state can’t streamline permitting and regulations. "We’re moving our cars over rails that are moving a lot slower because of regulatory and other constraints," DeBerry said. "And so if there’s a place for us to innovate, it’s really on the regulatory front rather than on the technological front." In San Francisco, the non-profit organization Imagine H20 works with entrepreneurs to launch and scale businesses built around water technology. They also work with major utilities, helping bridge the gap between businesses and municipal partners. Imagine H2O’s president wants to see California approach water with the same intensity it has energy, climate change and transportation. "Willing to become a buyer or adopter of water innovation technology is going to be a simple step for our companies and cities to take here in California," Imagine H2O president Scott Bryan said. "As we’ve learned in energy, these kinds of questions don’t have to be about red tape, regulation and things that divide us. This can be our innovation opportunity, so why not do that with water and the drought right now?" You wouldn’t know Trevi Systems is working on state-of-the-art water technology if you walked past its non-descript business park office in Petaluma. But, behind the walls, a team of chemists works to dramatically reduce the energy consumption of desalination through a process the company’s CEO, John Webley, calls "forward osmosis." He says the process mimics the skin of a fish in nature. While the Pacific Ocean could provide an endless supply of water for California, removing the salt through conventional desalination methods is energy intensive, and there are some environmental consequences. But Webley says those challenges can be overcome using Trevi Systems’ forward osmosis process. 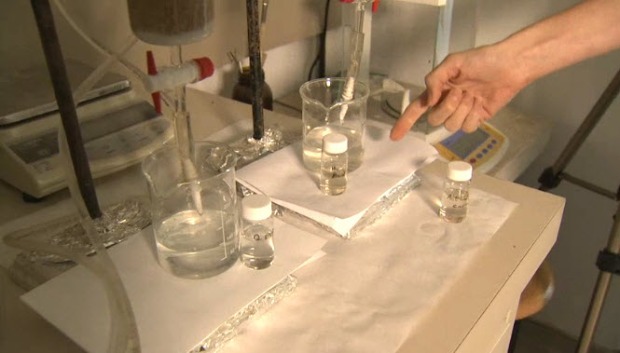 "We’re trying to get it down to about a quarter of the energy as reverse osmosis," Webley said. "That’s a big savings." Trevi Systems was just awarded a multi-million dollar contract to try its process in Abu Dhabi in the United Arab Emirates after demonstrating its technology at a worldwide competition. Saudi Arabia also ordered a plant that’s being manufactured now, and the company has seen interest from other countries, such as Egypt and Syria. "They’ve been really great in helping us all the way through it," Webley said. "The plant’s installed and goes live as we speak. The plant makes 50 tons of water a day." Yet, aside from a grant the company recently received from the California Energy Commission to treat Orange County wastewater using forward osmosis, the permitting process for desalination in California is too laborious for the company and its limited staff to take on. California’s only large-scale desalination plant went online in Carlsbad in October 2015. According to the company that runs the Carlsbad plant, it took 15 years to get the plant and pipelines serving it permitted and built. Stephen Stock takes a look at how scientists at the Robert H. Smith Faculty of Agriculture at the Hebrew University in Rehovot, Israel filter water down to the molecular level. "I decided I wasn’t even going to try desalination, because as we talked, at my age, I can’t wait long enough for the permit," Webley said. "I don’t want it on my gravestone, so we’ll skip the desalination in California." Down the road from Trevi Systems is a San Leandro-based startup called "Pasteurization Technology Group." Pasteurization Technology has developed a water recycling system that combines on-site renewable energy generation for waste water treatment plants with a process to make the water reusable. "We recycle all sorts of stuff, but we use freshwater once and toss it," said Greg Ryan, the company’s co-founder and CEO. "Every day here in the San Francisco Bay Area about 500 million gallons of usable water gets used once and put into the Bay or Pacific Ocean. And yet 80 miles away is the San Joaquin Valley, probably the greatest piece of growing dirt in the world, and they don’t have any water. And yet we use water once and toss it away." According to both California’s Department of Water Resources and the Milken Institute in Jerusalem, agriculture accounts for about 80 percent of the water used in California. Ryan wonders why less than 7 percent of crops in the state are irrigated with recycled water. He says that using recycled water to irrigate agriculture alone would go a long way toward solving the state’s water crisis. But, unfortunately, he says, there hasn’t been a major policy push to get to that point in California. "We’re such a big state and we’re not communicating as well as we should," Ryan said. "And then you get fiefdoms, and it’s my water, your water, and I think we are kind of getting in the way of ourselves. But when you run out of water, that’ll change. It will be forced to change because recycling waste water for the ag community is probably the single most important kind of economic thing we can do for this state." Despite the huge potential for the reuse of water, it’s barely caught on in California. According to the Milken Institute and Israel’s Water Commission, that country reuses 86 percent of its water, sometimes two or three different times. Although the small North Bay community of Graton purchased one of Ryan’s systems for its wastewater treatment facility, the permitting process for large water suppliers can be a nightmare to navigate. As a result, his company focused on private industry and foreign countries like Australia. "We’d be dead," Ryan said. "We wouldn’t exist and any technology would have died on the vine if we had bet the company’s fortune on cities and municipalities making what we think are pretty straight-forward, intelligent decisions in a timely manner." Ryan may have an ally in California Assemblymember Richard Bloom, who sat down with the Investigative Unit in Israel, where he and a delegation of California officials attended the WaTec water conference to learn what kinds of Israeli innovations could be duplicated in California. "We do need to be conscientious about make sure they’re environmentally preferred technological solutions," Bloom said. "But the bottom line is there are things happening here in Israel, for example, that we’re not taking advantage of." Another innovation barrier entrepreneurs say they face in California is the decentralized approach to water management and policy. Factor in multiple state agencies and the 19th century system of water rights still in effect today, and it adds up to a difficult, dense maze of agencies, rules and regulations that any high-tech company interested in developing and selling new innovations in water technology must navigate. "Bringing new innovation to market can be challenging in the sector," Bryan said. "It’s a very fragmented industry. It’s very conservative." California has 412 water districts. Critics say the fractured nature of the system makes it hard for entrepreneurs to navigate the maze of regulations and permitting processes. This map includes just a fraction of those districts, but shows the wide variation between them. For example, according to the State Water Resources Control Board, the state has 412 water districts and over 2,900 smaller water suppliers. Each district has different financial means, regulations and tolerances for taking risks. By all accounts, many of the state’s larger districts such as East Bay Municipal Utility District (EBMUD), the Metropolitan Water District of Southern California or the San Francisco Public Utility District (SFPUC) are progressive and accepting of innovation. In fact, the SFPUC just became the first water district to mandate on-site water reuse for new large-scale developments. However, smaller, rural districts don’t have that luxury, leaving critics of the current system wondering how those communities will fare during the water crisis. EBMUD Director of Water and Natural Resources Richard Sykes defends the system he says has worked for more than 100 years in California. "I wouldn’t say it’s too many," Sykes said. "I would say we need to work effectively together to solve regionally. If you can do that, then it isn’t too many. If you can’t do that because of the number of water districts, then maybe you’re right, it could be too many." But even for a statewide water initiative like the $7.5 billion water bond passed by voters, the sheer number of agencies at the table has proved problematic. "It’s a very complex system we’ve put together," said Laura Shenkar, founder and principal at Artemis Water Strategy, a consultancy that works with major corporations to design modern water strategies. "So if you succeed in passing a $7.5 billion water bond, not to protect against the drought, but to provide drought resiliency for the long-term, that’s a great visionary plan. But you could be stymied by the number of different organizations that it would take to make a California action plan around water and this is what we’re seeing right now." Watch Stephen Stock's extended, web exclusive interview with John Webley, CEO of Trevi Systems. The company, based in Petaluma, is developing state-of-the-art forward osmosis technology which uses a fraction of the energy as traditional reverse osmosis desalination methods. The system can operate using renewable or waste energy sources. Trevi Systems was recently awarded a major contract to develop a pilot system in Abu Dhabi, United Arab Emirates. While it makes sense in California to deal with water at the regional level given the state’s size and diverse geography, having thousands of utilities each making their own decisions is a huge challenge for entrepreneurs like Webley, who said he doesn’t even know who to call if he wants to pitch his technology for municipal use. Because water is priced so cheaply in the United States, historically there hasn’t been much incentive for companies to innovate around water. But California’s water crisis is now providing that incentive, and leaders hope to capitalize on the current public awareness around water. "The reality is we’ve taken water for granted in California for decades upon decades now," Bloom said. "And that’s something that’s going to have to change because our water supplies are becoming scarcer." While some worry that a rainy winter means the state will lose any momentum toward a drought-resilient future in California, because people will lose focus of the long-term crisis, Sykes said he’ll welcome any rain the state gets. "I think if it rains this winter it’ll be a wonderful time to continue for drought planning because the easiest time to plan for droughts is actually not during the drought," Sykes said. "When you have a little more time you can extend that vision further. You’re not dealing with day-to-day needs and I think the state understands that."